I don't know what possessed me to spend the other night looking at 1980s toys, but I guess that that's what happens when you sit around all day. Talk about flashbacks. 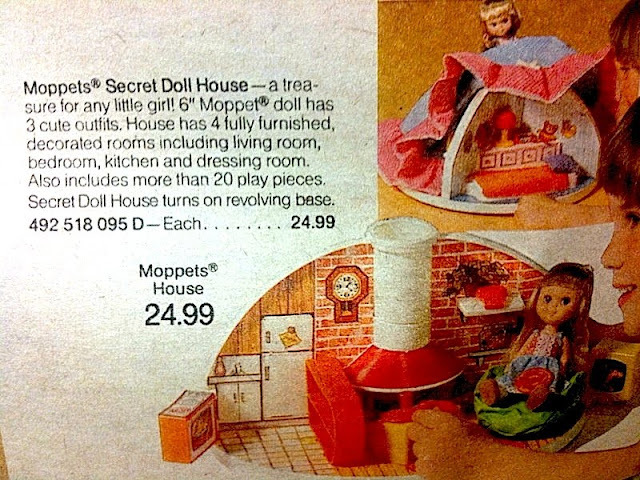 It brought me back to 1983 when my number one desire was a Moppets Secret Doll House--a doll that had a house under her skirt. I prayed to the Virgin Mary (not even kidding) every night that I would get one from Santa, and I did. It was awesome. A bean bag, a pizza, and other plastic doo dads. This one's missing the little tube that the doll fit into. 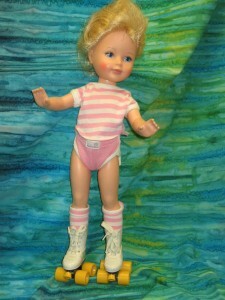 I am pretty sure this is also the year I got the skating Kimberly doll. 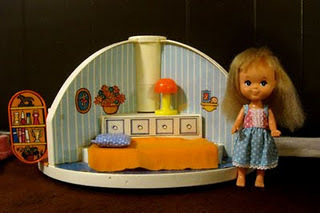 I thought about this doll several times since childhood, so I am guessing I really liked her, but couldn't remember her name until I found it online. I'm sure the reason I liked her so much was the rollerskates. I LOVED rollerskating...and still do. 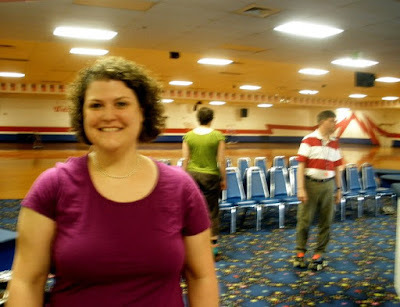 Though my ankle will preclude me from any type of skating in the near future, I celebrated my birthday at the rink a few years ago. LOADS of old skool fun! 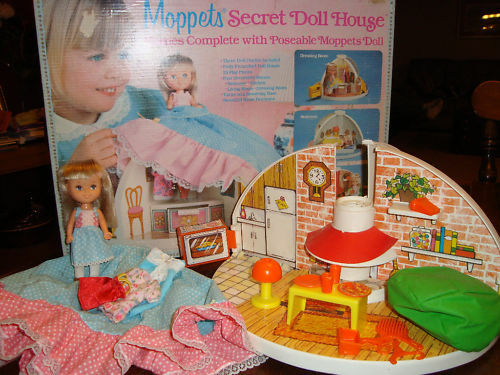 My little foray into 80s toys really took me back...and I found this fun website too, which is a walk through childhood! Here's hoping Santa brings you everything you're praying for! Even if it's something more complex than a doll with a house under her skirt!